NORTH BAY, Ont. 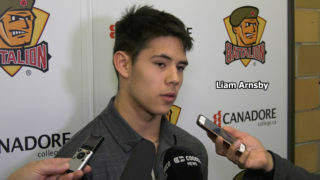 — Defencemen Brady Lyle and Adam Thilander of the North Bay Battalion have been ranked Nos. 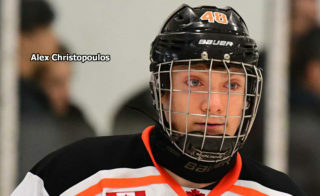 53 and 59 respectively among North American-based skaters by the National Hockey League’s central scouting department in advance of the 2017 NHL Draft, it was announced Wednesday. 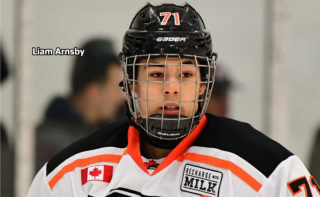 Lyle and Thilander are among 59 Ontario Hockey League skaters rated in the 217-player midseason rankings for the draft scheduled June 23-24 at Chicago. 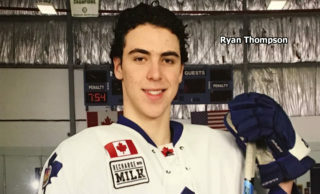 Lyle, a six-foot-one, 196-pound native of North Bay who turns 18 on June 6, has three goals and 13 assists for 16 points in 40 games this season but is sidelined indefinitely with a cut to his right thigh suffered last Thursday night in a 2-1 loss to the visiting Mississauga Steelheads. 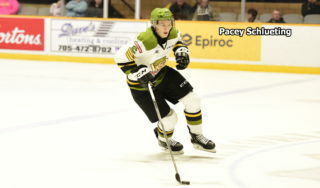 Lyle, who had one goal and nine assists for 10 points in 44 games as a rookie last season, was the Battalion’s first-round pick, 18th overall, in the 2015 OHL Priority Selection from Shattuck-St. Mary’s, a private school in Faribault, Minn. 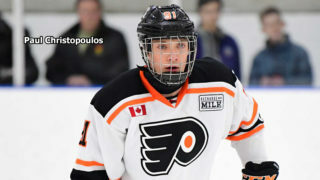 He was the top-scoring defenceman as his under-16 team won the United States national championship. Thilander, a six-foot, 187-pound native of Skovde, Sweden, was the Troops’ first-round choice, 36th overall, in the 2016 Canadian Hockey League Import Draft from the Skelleftea AIK under-20 team. He has three goals and 16 assists for 19 points in 38 games. Thilander, who turned 18 last Sept. 18, won a silver medal with Sweden at the 2016 world under-18 championship at Grand Forks, N.D. He had two assists in five games at the 2015 Ivan Hlinka Memorial Tournament held in the Czech Republic and Slovakia, in which Sweden lost the title game 7-3 to Canada, coached by the Battalion’s Stan Butler. “Obviously, we’re happy for them,” said Butler. “They’re not in a bad position. Where they’re at, slide in the Europeans, you’re probably a third-round pick, which is great, but you’ve got to understand that that’s only central scouting’s rankings and teams look at things differently. Centre Nolan Patrick of the Western Hockey League’s Brandon Wheat Kings is No. 1 on the list, while centre Gabriel Vilardi of the Windsor Spitfires is the highest-rated OHLer at No. 3. The NHL also released rankings of 31 North American-based goaltenders, 120 international skaters and 10 international goaltenders. There are nine OHLers on the North American goaltending list, with Windsor’s Michael DiPietro the top-ranked at No. 7.